There has been a stink made recently by ASCAP regarding Creative Commons licensing. I have to tell you that I am an ASCAP member. I get my 6 statements a year from them (4 domestic and 2 foreign distribution checks,) look at the all the numbers, shares and percentages, my eyes roll back in my head and then I move on. Whatever the amount is on the check I must simply accept it for what it is. There is absolutely no way of knowing if the check is the correct amount or not. I do understand that ASCAP takes 12.5% of what they collect for you but really you just get the check and put it in the bank. Again, I am an ASCAP member but let's face facts here. Did ASCAP not get the memo that tons of music has already been "free" on the internet for well over a decade? I am not advocating piracy so jump off that train but what I do advocate is an artist having the right to release music in anyway they see fit. 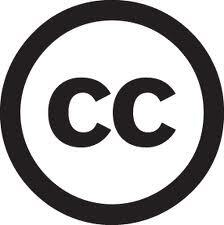 Let's look at what Creative Commons really is. Traditionally, copyrights are "All Rights Reserved." Under a Creative Commons license you simply have "Some Rights Reserved." Creative Commons has created six different copyright cocktails if you will with 4 basic ingredients. The "core right" in all works under a Creative Commons license is the right of redistribution for non-commercial purposes. What does that mean to you? If you have music that you want to give away for free but you want to retain commercial rights, your fans can download and share your music without looking over their shoulder for the RIAA. You still retain commercial rights for radio, streaming, film and TV etc..Creative Commons has various levels and degrees of "Some Rights Reserved" including giving your fans the ability to remix your songs and create derivatives of your work as long as you get credit for the original work and the remixes and derivatives then must carry the same type license. Very cool stuff for your fans. I can't and won't tell you how to approach this but will give my opinion that it is something you should look into. Only you have the right to dictate how your work is consumed. That is as long as your rights are not fractured with a record company or a publisher.Now that is a different blog. I'm glad you weighed in on this. As a programmer, I'm generally pro-EFF, and the idea that this is a deep-pocketed organization assailing the rights of artists is particularly ludicrous, as are some of ASCAP's other false statements. Also notable: ASCAP President Paul Williams has declined to debate CC's Larry Lessig, and the open letter in which he does so contains some pretty ridiculous and factually incorrect claims. Always good to hear from you. Open source should be left up to the creator and not the middlemen of intellectual property. I have a good relationship with ASCAP but let's be honest. Just like the RIAA, rights organizations are in business to perpetuate their own interests and make a profit. You missed a great party on the 25th of June. Hope to see you soon. I'm sure that Williams and ASCAP reps of similar mindset have nothing but good intentions, but it's very easy to defend a system that's been very good to you (and perhaps harder to see the faults). Sooner or later everyone will have to look at copyrights in general with a different set of glasses. Do you ever check out Gerd Leonhard? I haven't, but "MediaFuturist" rings a bell. Surprised I don't recognize the name, but I guess it's been a while since I was paying close attention to these issues.